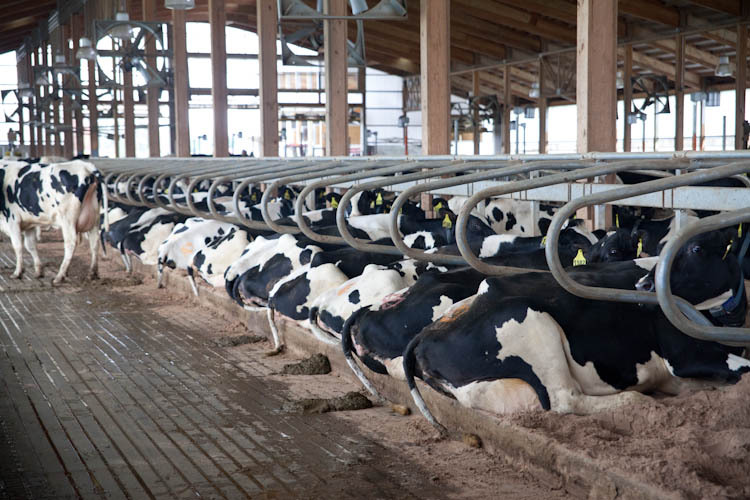 Sand bedded cubicles have become very popular in some areas but traditionally they are very labour intensive to keep the beds clean and replenished with fresh sand. The abrasive nature of sand has meant that manufacturers are cautious about offering a machine for this. 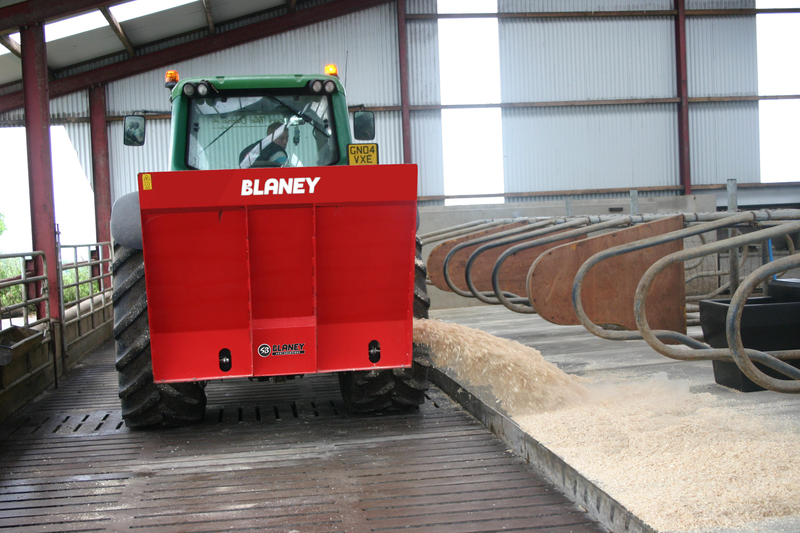 But Blaney have worked alongside dairy farmers to develop a machine for sand bedding – the CB Discus. Research has shown that the level of evenness of the sand bedding are important for maximising cattle lying time and reducing lameness. Compared to rubber mats or little / no bedding, sand can reduce lameness by 50%. Sand is inorganic and bacterial build-up is slower, resulting in reduced mastitus cell counts. 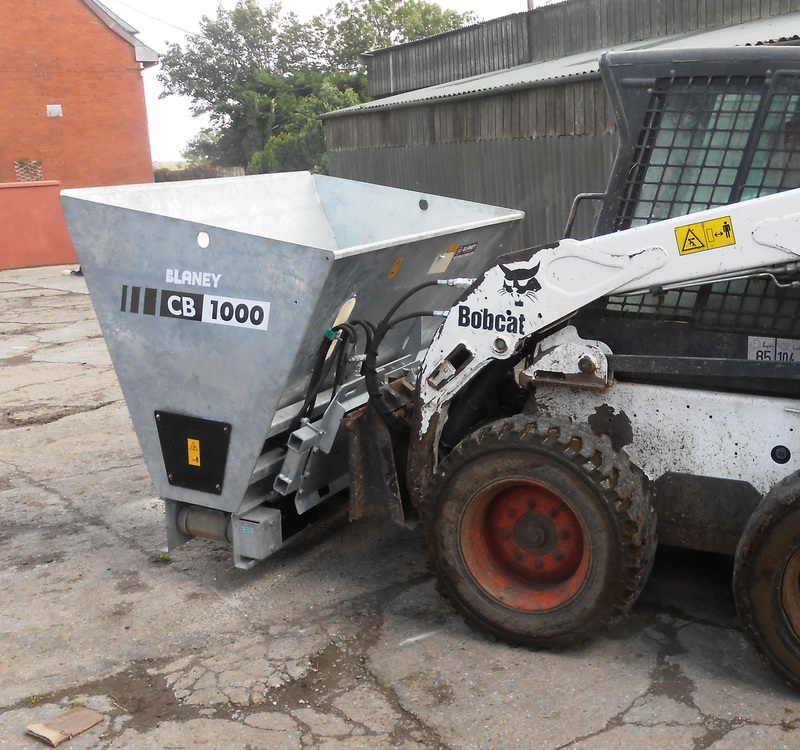 The CB Discuss has become popular as an effective and efficient method for topping up sand to keep cubicles clean and comfortable for healthier, happier, more profitable cows. 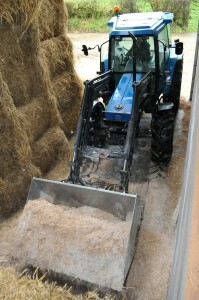 It is also ideal for other bedding materials including sawdust, chopped straw, shavings and lime mix. The Blaney CB Discus will throw further than any other machine making it ideal for modern cubical units with storage at the cubicle head. Less bedding material usage with a more even spread for cleaner dry cubicles. Manoeuvrability is not an issue with working widths from as little as 5ft. 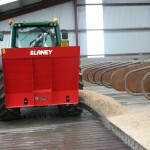 With the reversible drive on the discharge conveyor, both sides can be covered without having to turn your tractor. The Cubicle Bedder will reduce your bedding material usage by as much as 50% compared to manual bedding, by evenly distributing the material exactly where you want it, thus saving money. It has been designed to reduce labour time with 300 cubicles being covered in an impressive 10 minutes. With cubicle bedding a daily task, the time savings by using this machine are massive. 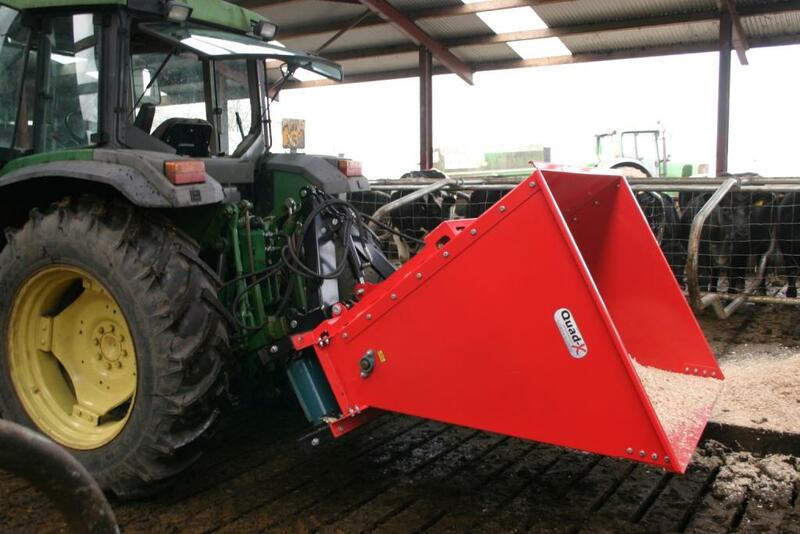 Innovative stepped feed system with high torque motor for constant feed of even the most difficult bedding material. Effective Agitator to prevent bridging of the material in the hopper. Rapid dispensing time- 300 cubicles can be covered in ONLY 10mins!